It is the cosmic sound that removes obstacles and negative energy, allowing us to experience complete fulfilment. 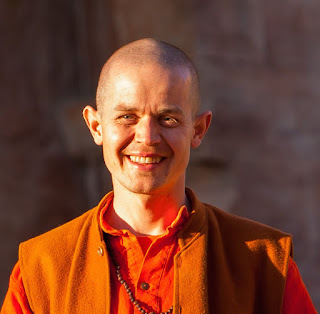 Swami Madhuram is a long-time disciple of Vishwaguruji Paramhans Swami Maheshwarananda, author of the scientific system of Yoga in Daily Life. His music is blessed by the light of Bhagwan Sri Deep Mahaprabhuji, master of the spiritual lineage Sri Alakhpuriji Siddha Peeth Paramapara.